Zombies a bit much for you? Try this. 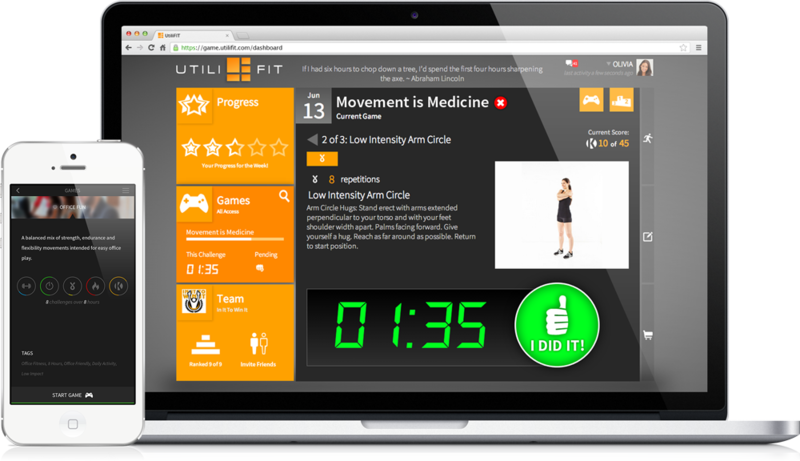 UtiliFIT Deskercise is a story/game-lite version of our other challenges that focuses on daily activity rather than steps. Participants can choose the Deskercise program of their choice, with goal-oriented themes that range from yoga to getting buffed up for the beach. Office Fitness focuses on light, easy movements that can be completed in office attire (suits, dresses etc.) at or around your desk throughout the work day. You’ll make use of your desk and chair to complete movements designed for the office environment. Beach Ready is physical training (PT) focused, designed to build strength and definition. All exercises are body weight based, and will include a mixture of Cross Fit-inspired moves, floor work (pushups, sit ups, etc) and cardio. This is our most output intensive program. Woo Sah! is meditative, yoga and flexibility focused. Perfect for individuals or groups that want to reduce stress and improve core strength and flexibility. Woo Sah includes some diet and hydration elements as well to foster balanced well being during the challenge. 5K Run Away will push you toward a walk/run 5K challenge, with each day will taking you one step closer to completing a 5K course. While focused on building endurance, like all of our programs, this program includes balanced activities and will not neglect your strength or flexibility. A mounting body of research all points to one direction: sitting is the new smoking. Prolonged sitting is making us more susceptible to chronic illnesses such as heart disease, diabetes and cancer. Meanwhile, we’re paying more and more of our workforce to sit at a desk for 8+ hours per day. It’s a cycle that’s leading to more sickness, more obesity, and an overall decline in health in our workforce. 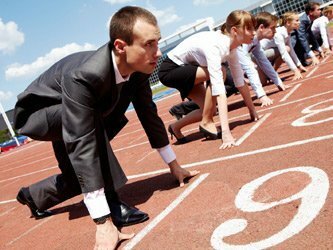 UtiliFIT Deskercise sends your employees small physical activities to complete each hour, breaking the cycle of sedentary behavior. These activities can be completed in under 2 minutes, but it’s more than enough to keep the body from entering its “sedentary mode,” where blood chemistry changes and each additional hour spent sitting is progressively worse and worse for you. The result is a more active, healthier workforce. UtiliFIT Deskercise runs on the UtiliFIT Activity Engine. Learn more about how this revolutionary technology is re-shaping the way employees view their desks. Get in touch to schedule your group’s start date and turn your employees’ desks into a healthy tool.